This is a review of the Windows trial version of Nikon’s newest RAW processing software: Nikon Capture NX. NX is a major update to their Capture line of software. One of the nicest new features is the innovative U Point technology, but I still find NX hampered by a number of serious flaws that prevent me from using it for any of my RAW conversion needs. With the release of Picture Project and now Capture NX (trial download: Windows and Mac), Nikon appears to be conceding a total loss in the high-end (“prosumer”, hobbyist) and professional RAW conversion market and re-marketing their software to more casual, less demanding users. Which is fine, of course. But if you are one of those high-end/professional users with demanding requirements who wants an actual workflow management solution then you should look elsewhere. Bibble, Pixmantec, Apple, Phase One, and soon Adobe with Lightroom all offer great RAW conversion software with real workflow capabilities. But first, let’s look at the positive side. NX incorporates a really nice, innovative and easy-to-use image editing system called U Point. This system lets you apply image adjustments to any region of an image and isolate those adjustments to a radius of influence that you specify. This allows you to very easily apply, say, color enhancement to a sky while leaving the ground unmodified. This is accomplished in a visual manner using control points that are placed directly on top of the image that show their radius of influence and allow you to make adjustments and see the results in real-time. Control points allow you to make image adjustments isolated to a radius of influence. The system is powerful and easy to use. And it does allow you to make adjustments that you might currently be doing with masked adjustment layers in Photoshop. It isn’t going to replace Photoshop any time soon but it is a very nice feature and I applaud Nikon for incorporating this innovative image editing system into their software. Unfortunately, NX continues to be hampered by many of the same flaws that plagued earlier versions. Namely, NX has virtually zero workflow capabilities and is still excruciatingly slow. Allows me to tag and rate photos from a session so that I can quickly select which ones I want to convert and which ones I want to delete. Allows me to easily work with hundreds, even thousands of photos, at a time. Has very fast thumbnail and full-size viewing options. I need to be able to move from image to image without any delay. Allows me to make multiple adjustments very quickly to my files either individually or in batch. Can export a variety of sizes and automatically make image proofs. Batch processing happens in the background while I work on other photos. And finally allows me to convert all of my tagged, adjusted images in batch ready for print. NX’s fatal flaw is speed. NX is almost unusably slow. The built-in file browser is slow, the interface is slow, loading an image is agonizingly slow, and saving out an adjusted high-quality JPG is ridiculously slow (I stopped counting at about 2 minutes). If you’re working on one or two RAW files at a time, it’s not a problem. But if you are trying to correct and process dozens or hundreds of RAW files, you’re in for a frustrating time. By comparison, on the same hardware, Pixmantec’s (now Adobe’s) RAW Shooter product lets me load all of the images from a session into a thumbnail browser (literally hundreds at a time) and move from photo to photo instantly. Instantly. I’m not exaggerating. And exporting an adjusted high-quality JPG can be done in under a minute. The other major problem is the lack of any true workflow capabilities. The closest they come is a very rudimentary batch processing engine. What you do is you make a series of adjustments to an image and then save those adjustments as a set. You can save out as many different adjustment sets as you like. 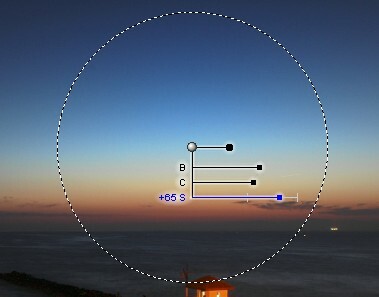 Then you can apply an adjustment set to an arbitrary set of images. It works but it’s not how most photographers operate. In my experience, every image is different and needs a different set of tweaks. I mean, if you adjust a region of one photo, what are the odds that you’ll need to adjust that same region by the same amount in every photo? It only makes sense if you’re taking a lot of photos that are almost identical in composition or subject. NX’s interface, right down to the awful multiple document (MDI) design, is all about adjusting a single image at a time. The batch processing engine is a complete afterthought. No proofs, no tagging/rating, nothing. I own a Nikon camera that I love but Nikon has proved again and again that they’re lousy at writing software. There are many vastly superior alternatives from the very promising upcoming Adobe Lightroom to the completely free and available-right-now Pixmantec Raw Shooter Essentials. I highly recommend trying out an alternative before paying any amount for Nikon Capture NX.